Older brides look wonderful in classic vintage inspired bridal headpieces. There is no doubt about that. Rather than wear long flowing veils made from bridal illusion fabrics, layers of chiffon or organza, or veils made from yards of lace, brides over fifty should opt for classic vintage-inspired styles that will complement modern wedding dresses. Simple but stylish, the birdcage veil made its first appearance in the post-war era of the 1940s. It is a popular choice for many brides and works well for both divorcees and older brides. The birdcage wedding headpiece is flattering with a hint of the beauty of the face that lies beneath veiled face and can be worn with both formal or informal wedding apparel. It can be subtle in style like the one in the image above, simple with rhinestone combs, ornate brooch, or flowers attachments, or quite dramatic if combined with a fascinator made with a plume of feathers. You can make your own birdcage veil if you are a sewing craft enthusiast. They are quite easy to make and you can be as creative as you wish when you make your own bridal headpiece. 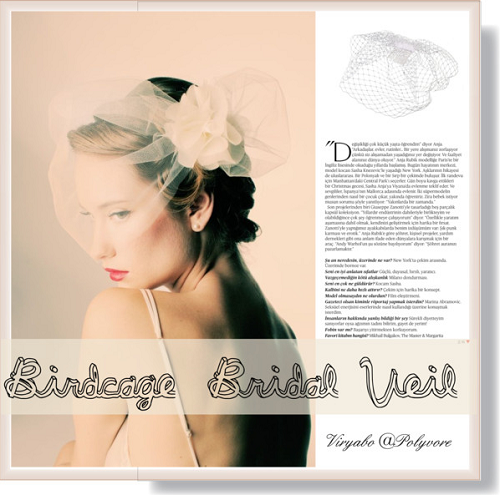 Birdcage wedding veils still exude the chic sophistication of the past classics with its vintage quirk. It has become an increasingly popular alternative to the more common traditional headpieces like the chapel, cathedral, and shoulder, and floor length bridal veils.